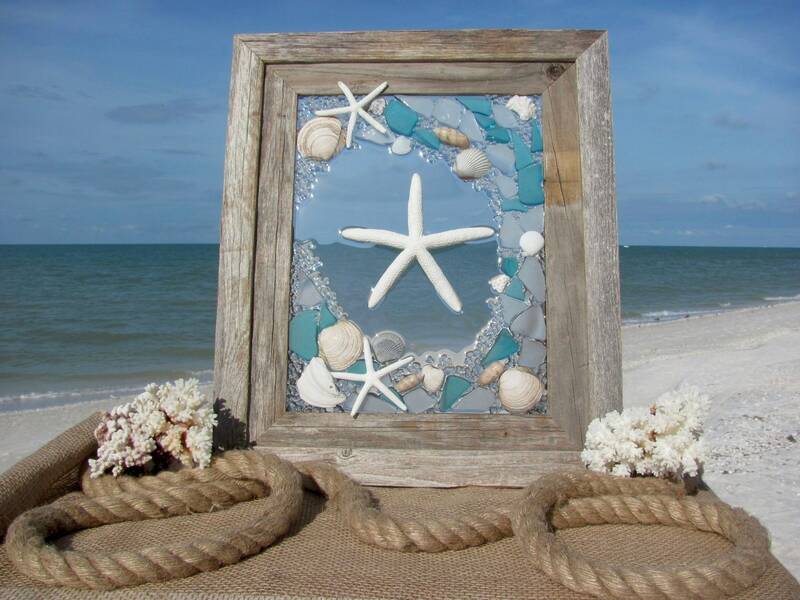 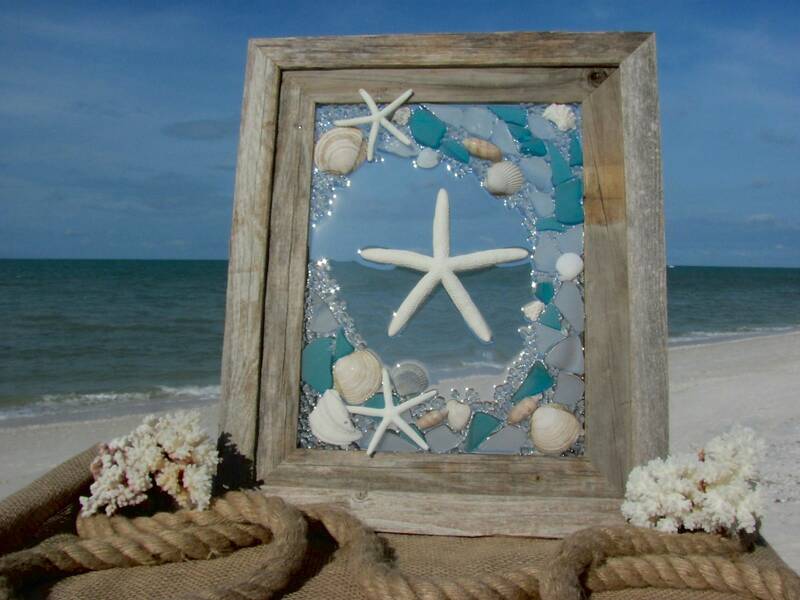 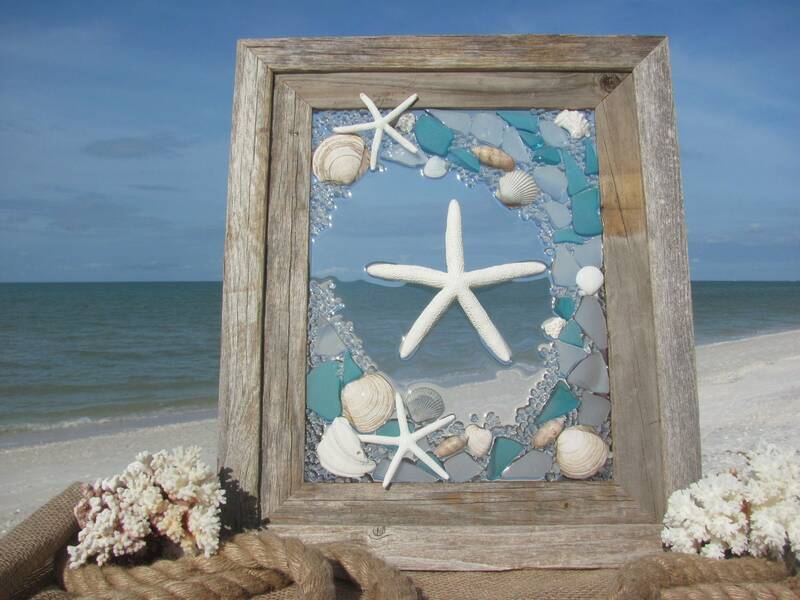 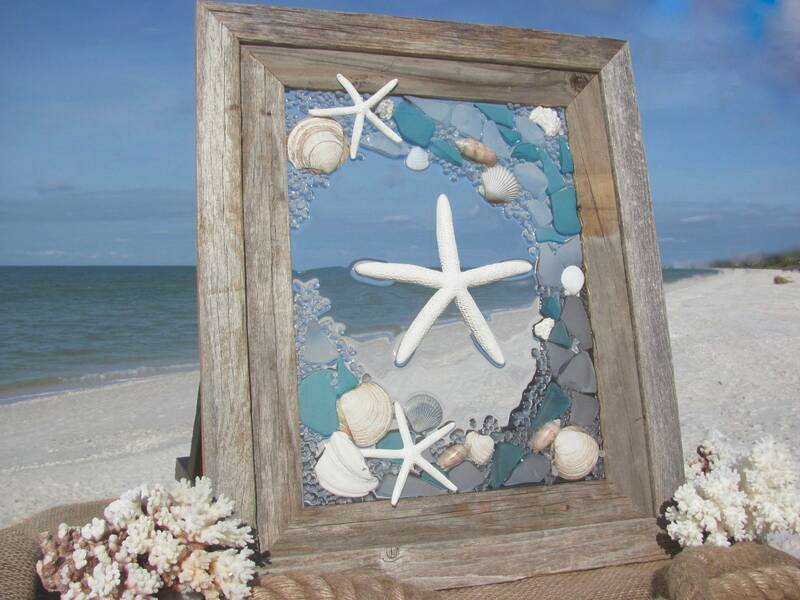 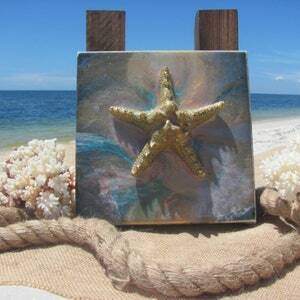 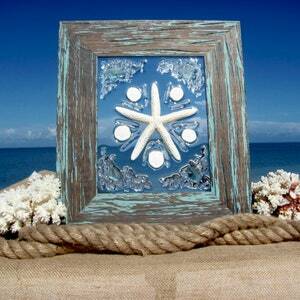 Sea Glass Wall Art, Starfish Window Hanging, Recycled Blue Glass Mosaic, Marine Beach House Decor, Barn Wood Frame, Hardware Incl., 16x19"
16x19" beach glass wall art or window hanging with starfish, and gulf coast sea shells. Rustic barn wood frame with hardware included. 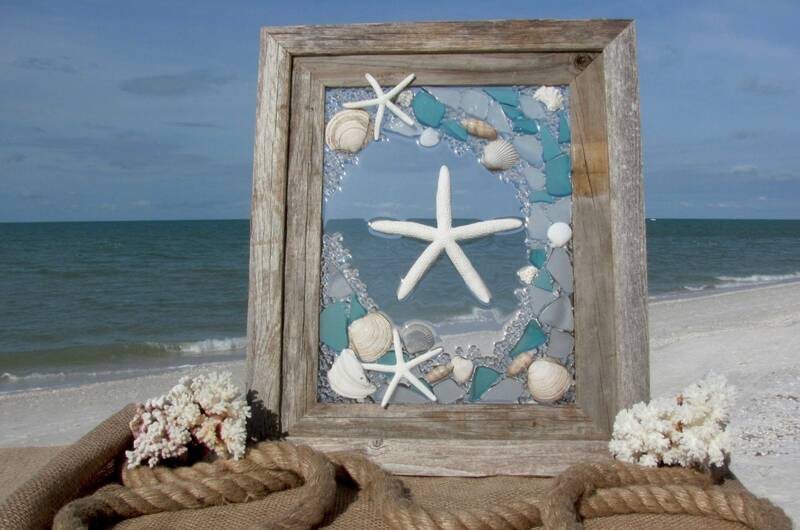 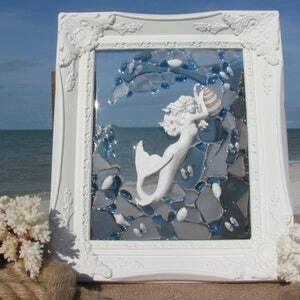 Three white starfish in a beach glass wave, with shades of ocean blues, a collection of our family's beach combing treasures; featuring scallop shells, olive shells, beautifully unique drift shell pieces, and other sea shell finds, fused (not glued) onto glass panel.